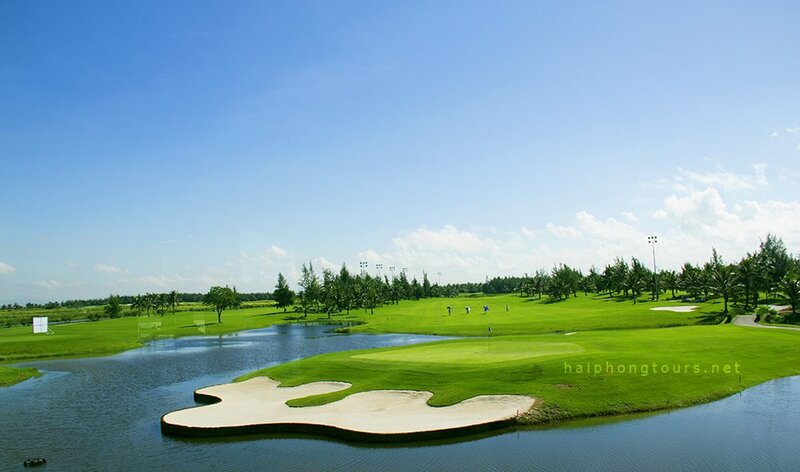 Located in Hai Phong City, Do Son Seaside Golf Resort was designed and built by Australia-based Pacific Coast Design Company, specializing in the development of leading golf courses around the world. The 18 hole par 72 course combines sport and leisure within an impressive 6,317 meter stretch of land. 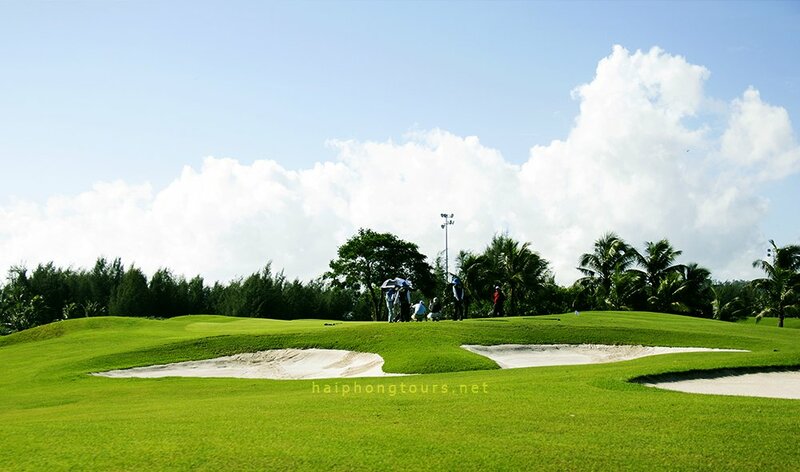 In 2009, Doson Seaside Golf Resort was voted “Most Prospective Golf Course in Vietnam” by readers of Vietnam Golf Magazine. One of the special points of the golf course is its tee system with four tees including the serving tee. This creates a big challenge for professional golfers but still is manageable by amateurs. The various sized greens, ranging from average to exceptionally wide along with skillfully placed bends allow the players a number of ball placement options. Artistically shaped bunkers and naturally flowing streams wind their way throughout the resort, offering a peaceful and friendly atmosphere. These features combine to create a new golf experience unlike any other (course) available in the country. The Do Son Seaside community is favorably situated along Vietnam’s northeast coast, and a convenient 20 km drive from the city center. Surrounded by both sea and the legendary Dragon Mountains, every guest will experience the benefits of the course’s natural beauty, refreshed by the cool, salted air. 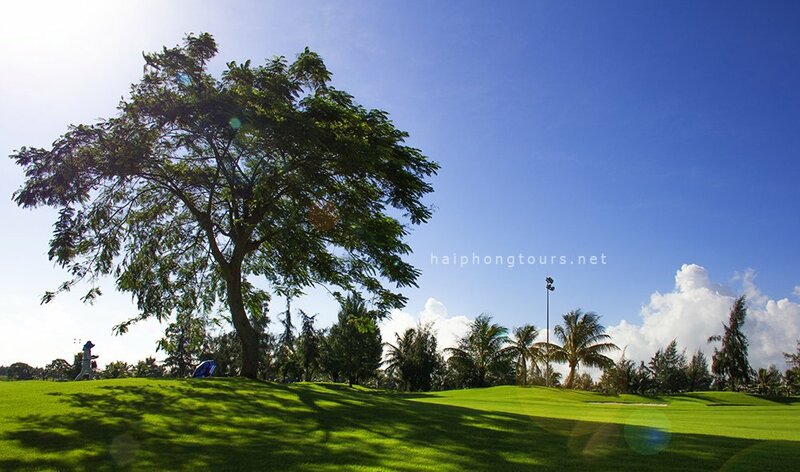 These are just some of Do Son’s many unique features that few other golf courses in Vietnam can hope to compare with. 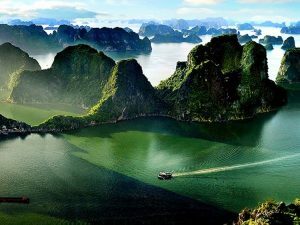 Doson Seaside Golf Resort promises to be Vietnam’s number one travel destination for lovers of golf in the near future. Though the golf course is a beautiful and friendly resort layout, there are 4 sets of tees to accommodate players of all levels. The design of the course has made full use of the many lakes and thus water comes into play on the majority of the holes. There are safe plays away from the water as well as risk / reward shots for the confident player. Do Son Seaside Golf Resort will satisfy players that come for a relaxing golf vacation by the sea as well as those who become members and play everyday. The well contoured greens are of varying size from medium to large allowing for many pin placement choices. 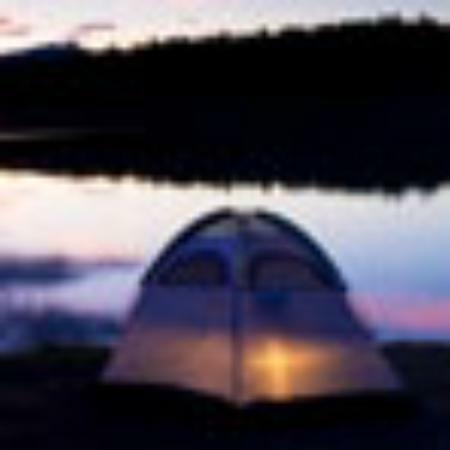 This provides for ever changing playing strategy and will command the full attention of the players. The ocean breezes will also come into play regularly, cooling the players and adding challenge to their game. Paspalum grass has been chosen for the playing surface as it is the most suitable for the location and weather and will provide year round consistency on the fairways and greens alike. This ideal setting with the coconut palms lining the fairways in the deep green rough creates a perfect seaside resort atmosphere. The artistically shaped bunkers compliment the natural waterways and rolling contours of the resort to provide a tranquil serenity that golf enthusiasts will fall in love with. There will be villas with all the finest amenities available for sale as well as short and long term leases. Golf Memberships are now on sale and are sure to increase in value as time goes on. A first class clubhouse will be home to members and guests and will provide fine dining for couples and families as well as casual fare for the everyday golfer. The locker rooms and spa areas will be generously appointed with everything you would expect from this high caliber resort. 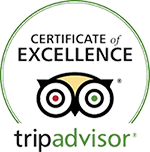 We look forward to having you as members and guests and making every visit to Doson Seaside Golf Resort a memorable experience. Pacific Coast Design Pty. Ltd – an Australia golf course designer whose designs can be seen in Australia, Malaysia, Thailand, India, Vietnam and China. 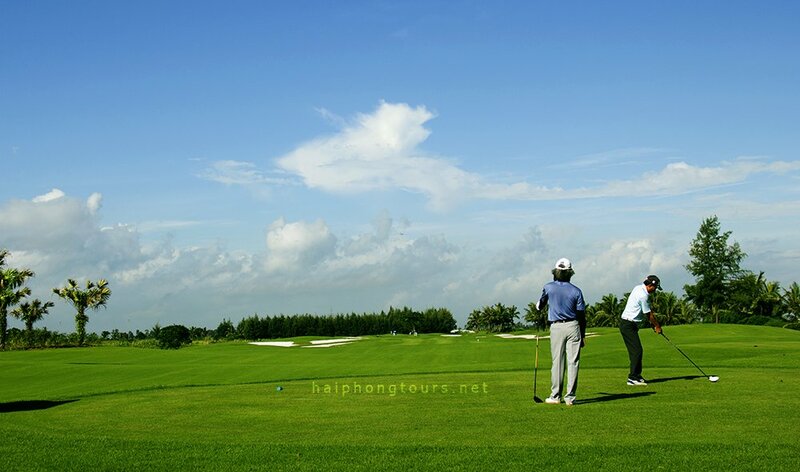 Do Son Seaside Golf is their second project in the North of Vietnam. 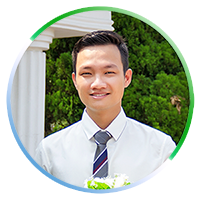 Located in Do Son coastal resort district, just 15 minutes from Hai Phong center. 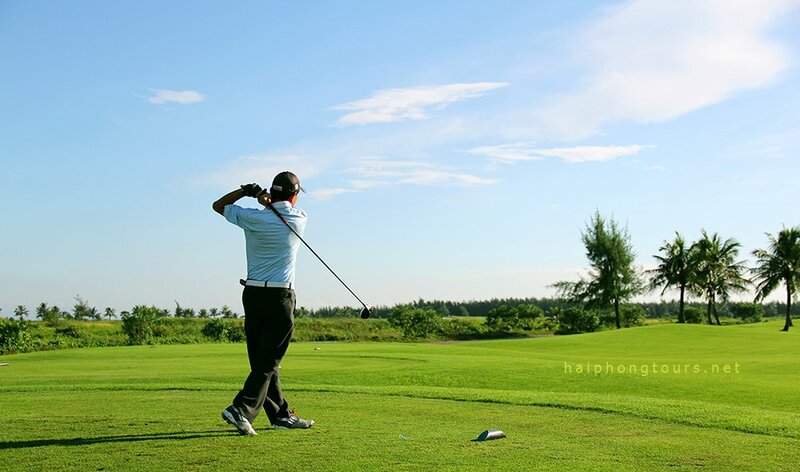 Do Son Seaside Golf Course is an ideal destination for tourists and golfers to escape from their busy life to enjoy a quiet, fresh, and relaxing natural environment. The Golf Course is planed as a resort style 18 holes, Par 72 Championship Golf Course at 6,319 meters. This resort style golf course has been specifically designed to provide strategic challenge for low handicap golfers and social golfers alike. The course is played through a landscape of palm trees and waterways and is visually spectacular. The groundbreaking ceremony was in May, 2005. Stage 1, (Nine holes and the driving range along with a small clubhouse) was opened December 20th, 2008. The full 18 holes was opened on October 16, 2009 and the Grand Opening Ceremony of the main Club House was on Janurary 15th, 2012.